"I got a load of wet wood from a tree company. Your wood is like night & day. I'll never buy from a tree company again." "The bags are the greatest !! It's the only way I want my firewood delivered." "Our last firewood would hiss and steam. It never burned right. Your wood burns so easy & hot." "There was nothing wrong with our brand new stove. It turned out to be our firewood." "We use your wood to make a fire hot enough so we can burn our other wood." "I didn't know what KILN DRIED firewood was. Now I'll never burn anything else." "I told my friends and family about your wood." "Who knew there was firewood like this ?" "It's nice to see someone that takes such pride in what they do." "I know where I'm buying my wood from now on." 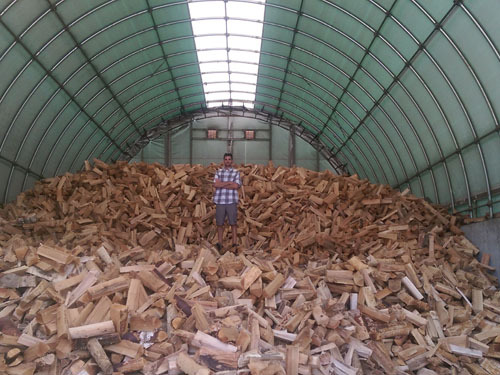 "I contacted a few firewood suppliers. They never got back to me. You did, right away." "With wood this good, you must really be busy this time of year." "We bought one bag last week to sample. Now we can't wait for the delivery." "We were actually excited when the wood burned so well." "You guys definitely know what you're doing." "You are a pleasure to deal with. I'll be ordering again." "I'm not telling anyone about your company. I'm afraid you will be sold out all of the time if I do." 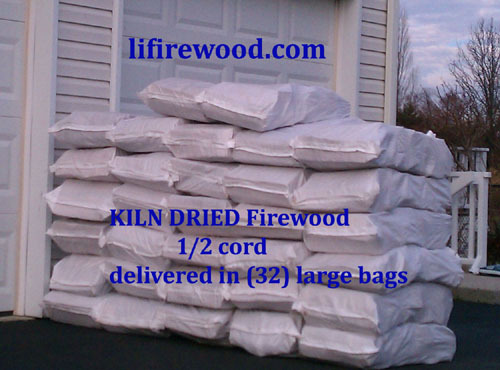 We deliver the finest KILN DRIED firewood on Long Island. Top quality starts from the very beginning. KILN DRIED firewood company on Long Island. Our only business is producing & selling firewood. Poor quality firewood usually originates from part time firewood sellers looking to take advantage of the seasonal market. We put 100% of our efforts into producing & delivering the best firewood. Landscapers, tree services, nurseries & others cannot match the knowledge and experience we have here at L.I. Firewood. All of our firewood timbers are professional harvested. The logs are chosen for quality, size & species to insure only the best firewood is produced. We do not use random timbers from tree services, excavators or landscapers. Top quality timbers are the first step to producing the highest quality firewood on Long Island. High tech processing equipment is essential to producing uniform firewood. 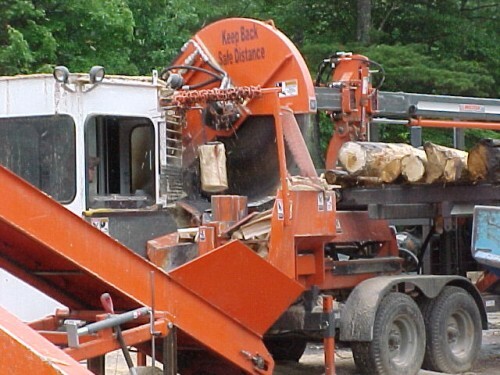 Only state-of-the-art equipment can consistently produce uniform firewood. L.I. Firewood takes pride in providing uniform lengths and achieving precise splitting that results in the perfect firewood. Firewood that is too large may not dry correctly and may burn incomplete in your fireplace or stove. 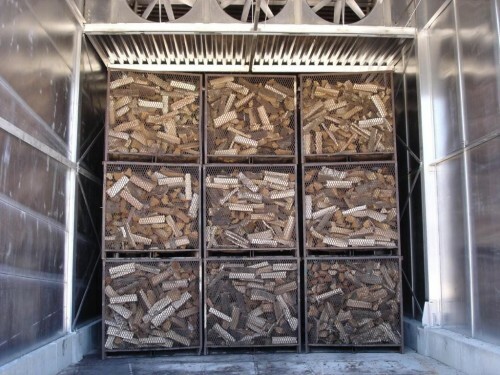 Our firewood is always kept clean during processing by using cages & conveyors. All of our split firewood is always kept on clean surfaces. Quality firewood should never come in contact with dirt or mud once it has been split. Our wood is kept free of dirt & bugs during all phases of processing and indoor storage. Only the most efficient commercial lumber kilns are capable of removing the large content of water that is contained in fresh cut wood. Firewood kilns reach temperatures up to 200 degrees and remove tons of water that would take a year or longer to remove drying outdoors. Removing the water reduces the moisture content from over 50% to an optimal 20 to 25% (true "seasoned" firewood is 30+%). Once the wood has reached an internal temperature of 160 degrees it receives the USDA Certification that it is bug free and it is then ready for distribution to our Long Island customers. Each of the cages on the left holds 1/2 cord while drying in the kiln. Once the firewood is kiln dried it is stored indoors with pleny of air flow and light. The firewood remains indoors until packaged and delivered to you. We highly recommend that you keep your KILN DRIED firewood indoors. If your wood is to be stored outdoors, there should be a cover over the wood and the wood should be raised off the ground. If you must tarp your firewood, be sure not to cover the sides. Only the top need be covered from moisture so the sides can continue to be exposed to air flow. This is our 10th year delivering firewood in large bags ! Our bags make storing your wood clean & easy. They are perfect to store in your garage or shed. You can also store them outside. Bring one bag in the house at a time. No more mess inside the house. It's the cleanest & easiest way to handle your firewood. Your amount is measured perfectly every time. You can easily share a delivery with your friends, family & neighbors. Our bags are easy to move. 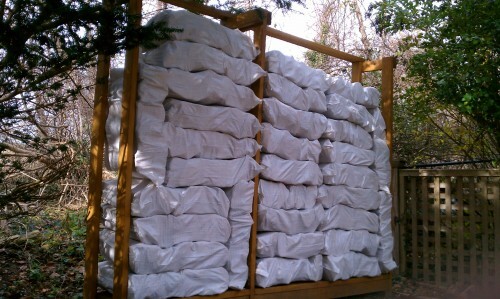 If you need them moved further from delivery truck access, we do offer stacking services for your firewood bags. Sorry, but our drivers do not remove firewood from the bags. stacking that we performed. A firewood rack is always recommended to keep the bags off the ground. We're more than happy to give you some pointers on how & where to store your KILN DRIED firewood.